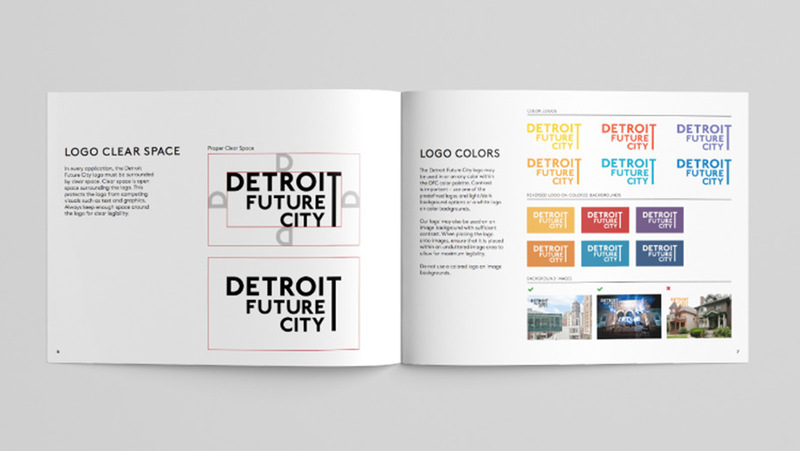 We worked closely with the Detroit Future City team to create a modern logo, brand guidelines, and brand materials. Our broad range of services allowed us to then apply those newly created brand guidelines to two new websites. Our partnership continues to expand their digital strategy. The Detroit Future City Strategic Framework was released in 2012, and those who worked so tirelessly on this plan did not want to see it sit on a shelf. A year later, the Detroit Future City (DFC) organization was created to ensure the successful execution of Strategic Framework vision. DFC is a local, nonprofit think tank, policy advocate, and innovation engine. Their offices are in downtown Detroit, right in the center of the action, making them ever-aware of Detroit’s successes and (re-)growing pains. With priorities like Community and Economic Development and Land Use and Sustainability, DFC transforms the visions of the Strategic Framework into reality. We had the opportunity to work on several different projects with Detroit Future City, where we applied these branding recommendations throughout two newly designed websites. Learn more about our website redesigns with the DFC team here.